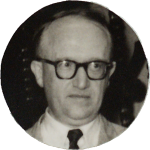 Academic, diplomat and Secretary of State at the Ministry of Foreign Affairs of the German Federal Republic from 1951 to 1958, Hallstein had a preeminent role in European integration and in West Germany’s post-war rehabilitation. 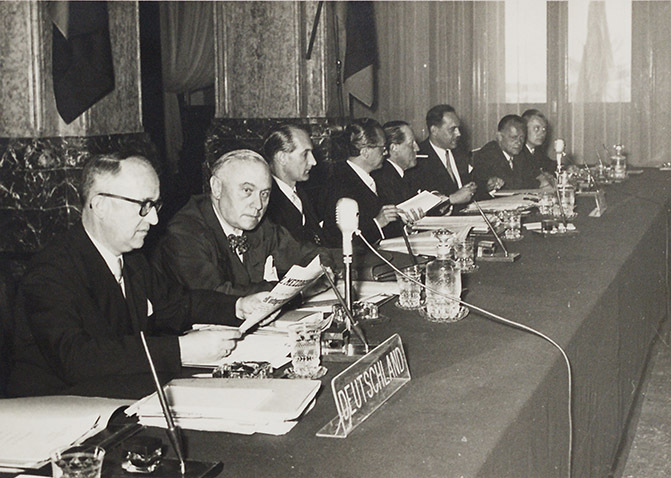 In 1950, Konrad Adenauer appointed Hallstein to head the German delegation at the Schuman Plan negotiations in Paris, which led to the creation of the ECSC, established by the Treaty of Paris in 1951. 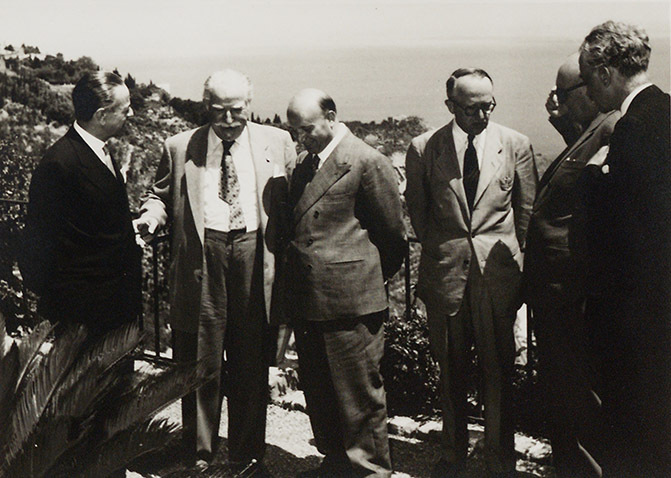 He was also a promoter of the European Defence Community, of which West Germany would be a member, with a view to the progressive restoration of German sovereignty after the second world war. 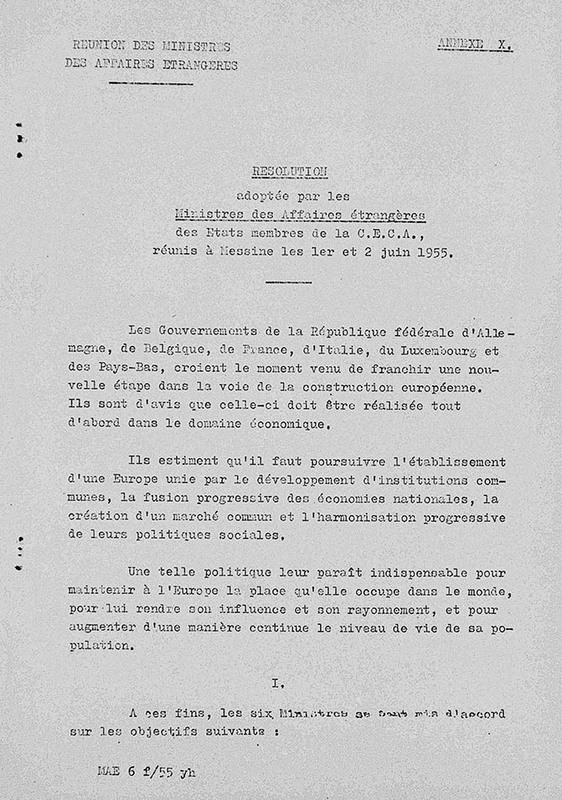 Hallstein supported a federal solution for Europe, broadly based on the ECSC, with a ‘constitutional integration’ process of gradually increasing scope to include additional sectors, and with parliamentary representation of European citizens. 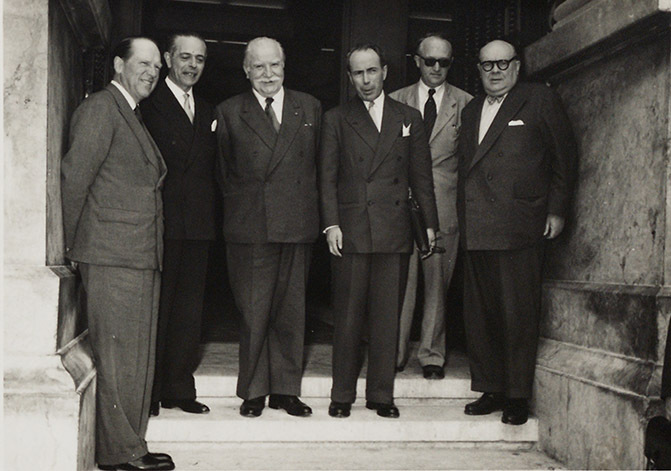 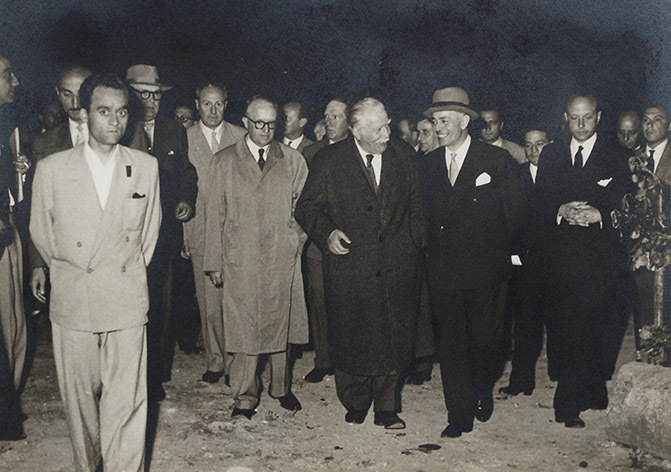 He was the head of the German delegation at the Conference of Messina, and in 1958 was chosen as the first president of the EEC Commission shortly after its creation under the Treaties of Rome.